The CRISP-DM is a common standard for machine-learning projects. 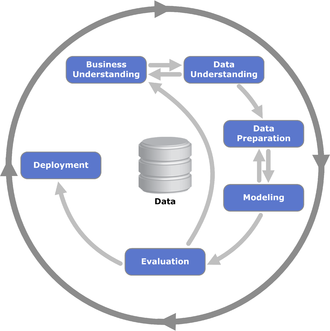 Business Understanding, Data Understanding, Data Preparation, Modeling, Evaluation and Deployment. All these six steps of a machine-learning project are crucial. Quality issues in each step will directly affect the quality of the entire outcome. They are all important. However, advising to many organizations on machine learning, and running even more such projects ourselves, we (at YellowRoad) came to a conclusion, that the most under-invested step in the process is Business Understanding. We see many companies discussing algorithms and technology, before understanding the business aspects of the task that they are solving. This is clearly not a good starting point. We composed a series of questions that we use in any machine learning project that we get involved in, and we do not invest serious efforts in the following steps, until we have good answers to these questions. We find that practice to be extremely helpful. What are we trying to achieve, business wise? Why is it important? What are the inputs and outputs for the task that we are trying to solve? What would make it a success? Do we have the input data available? How hard it is to extract it? Are we allowed to use it? Are we experience in building similar solutions? Do we understand what it takes? Do we have hard budget and timelines constraints? Who will develop the solution? Do we have the required skills in house? Bio: Shahar Cohen is a co-founder at YellowRoad and an experienced data scientist and researcher with over 10 years of experience.